Today we are looking at the former Cooper Jersey Cattle Sales Pavilion in Coopersburg, PA, along with the Cooper Mansion, and the former Sacred Heart Orphanage/Pinebrook Junior College. 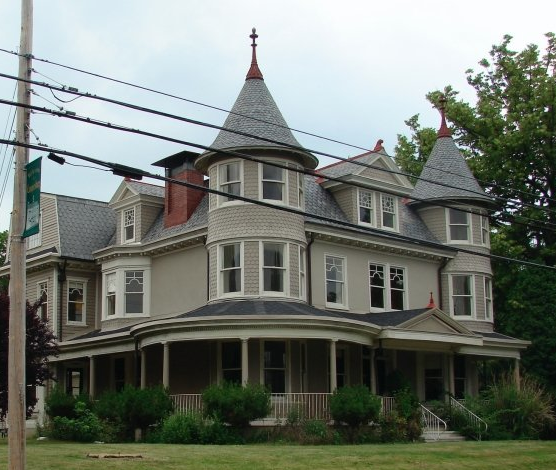 The Pavilion and the adjoining Cooper Mansion across the street make up the historic district in Coopersburg, PA. They are located at Main and Linden streets and were built in the late 1800s by Tilghman S. Cooper. The pavilion building served as the indoor selling space during inclement weather. A large complex was built for the selling their famed Jersey Cattle, for which people from as far away as New York for purchase. Some online reports say globally, but the only written source I can recall says New York. Remember how much of a journey this was during this time period. T.S. Cooper's Linden Grove was a very important place to get cattle in the middle of a huge region for dairy farming. My little research rant was fueled by finding this photo in my archives. Upon later developments that I will explain in a bit, I am disappointed that I did not take more photos around the building. The news is very good though. I hope this historic building has a decent outlook. 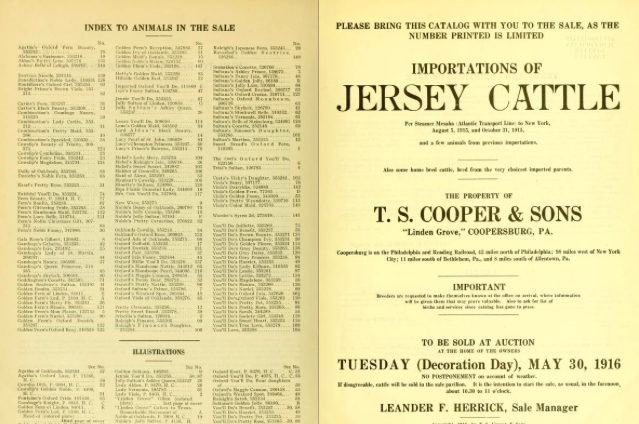 Here is a view of an auction catalog from 1916, viewable through the National Archive. The glory days ended in the midst of the Great Depression. On May 2nd, 1938, the entire estate, including the mansion, and all of the buildings, were sold to the Philadelphia Catholic Diocese, who proceeded to build this building to house the orphanage that adjoined the Cooper Mansion. Seemingly an afterthought these days, but at that point this facility accepted orphans of all races and religions, an extremely revolutionary and progressive move in its time. (Photo from Sacred Heart Home and School (website dedicated to researching the institution) Be sure to check out that website for many different stories and a background on the institution. It appears that the bulk of this complex the tan bricked buildings, were built in the 1950s. Included were a dormitory, gymnasium, and a chapel. The school part of the complex closed in 1972 and the remaining children were moved out in 1974 when state regulations forced a closure of the building. In 1976, Pinebrook Junior College, based out of Stroudsburg since 1969, took over the campus. The institution, originally named Berean Bible College, had roots back to 1950 in Allentown. The junior college went out of business in 1992, the last time this building was given any attention. It has sat around, crumbling, for 22 years. Looking at this aerial, I am surprised to not see any caved in roofs. The oddly shaped building just right of center at the top of the photo is the historic Cooper Mansion. This is a neat building that I hope gets preserved. Photo credit to Sacred Heart Home and School. 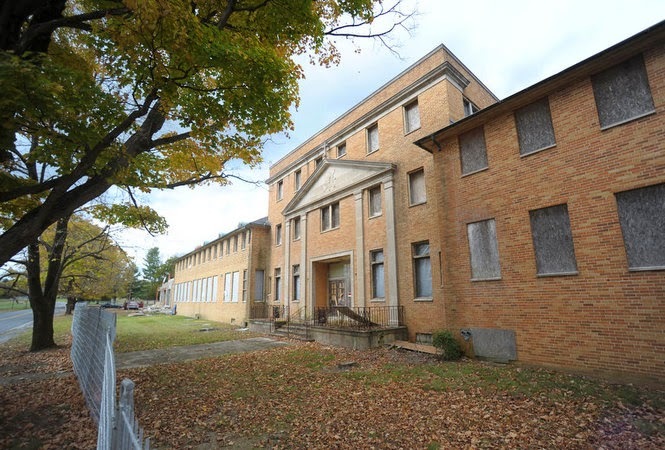 The rest of the old junior college/orphanage badly needs to be torn down. The indoor pavilion is the right-most building. This building also deserves preservation. According to the Morning Call, a developer had plans approved in April of 2014 to create condos on the site. I won't hold my breath, but if it happens, it will be great. 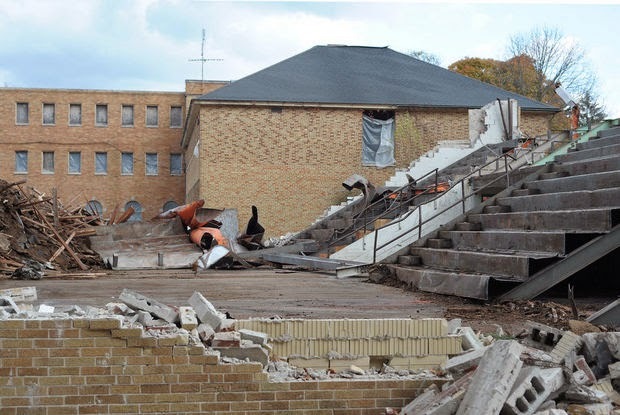 Apparently this was the old gym. I am encouraged by this development news. 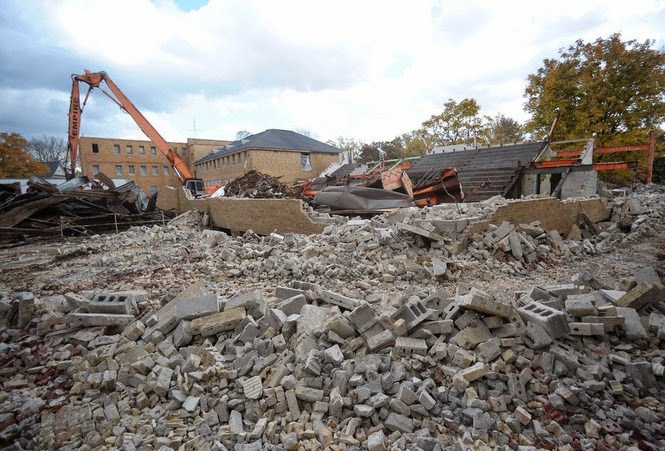 Just demolishing this portion of the complex is a step in the right direction.